Some days are often mundane and boring. During these times its important for me to stay open to possibilities. I consider myself lucky because when I spy some tree fungi my neuron’s light up into overdrive. I was walking through the grounds of St. Nicholas Hospital, Newcastle upon Tyne last week and was dwelling on a long, tiresome day ahead of me. I just couldn’t see the wood for the trees. Sorry. I had to get that in. I took a deep breath to relax and to my arb-obsessed delight, I walked straight up to an Ash tree (Fraxinus excelsior) with Inonotus hispidus firmly attached to its lower stem. 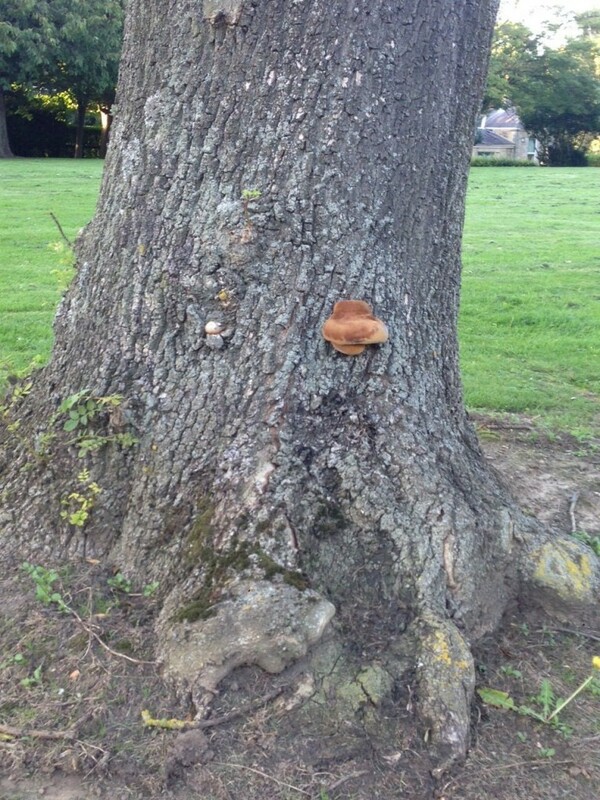 Inonotus hispidus is also known as the Shaggy bracket, Shaggy polypore and Velvet fungus. The bracket forms annually in Summer and early Autumn on principally Ash, London Plane, Sorbus, Sycamore, Walnut and Apple trees. 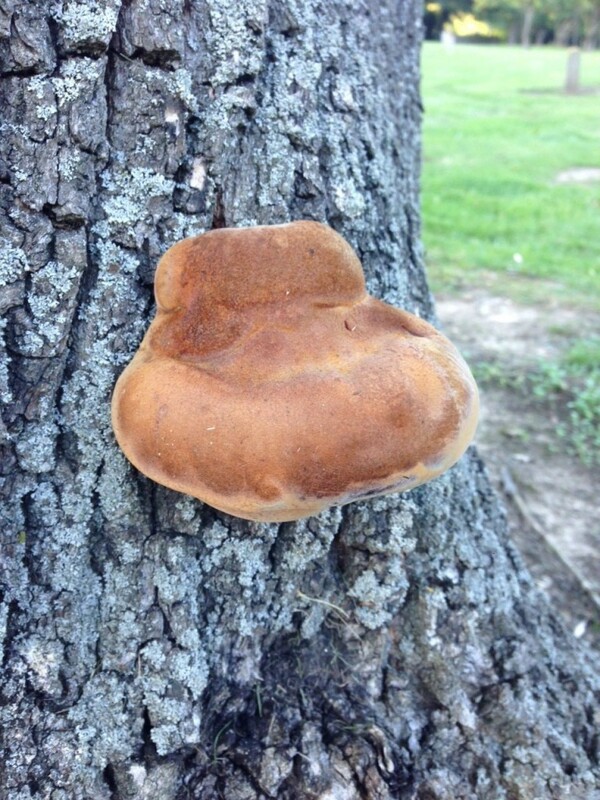 The Shaggy bracket in the photographs is a nice example of a fresh orange-brown fruit body. The skin has fine hairs and is velvet to the touch. The bracket darkens when dying, becoming black all over and falling from the stem. The shaggy bracket is a parasitic fungi. A slow assassin. It causes simultaneous white-rot decaying both lignin and cellulose. The significance of which causes trunks and more commonly branches, to become brittle and fracture. London Plane trees are more resilient. So it turns out that these seemingly mundane and boring days often turn out to be the best!